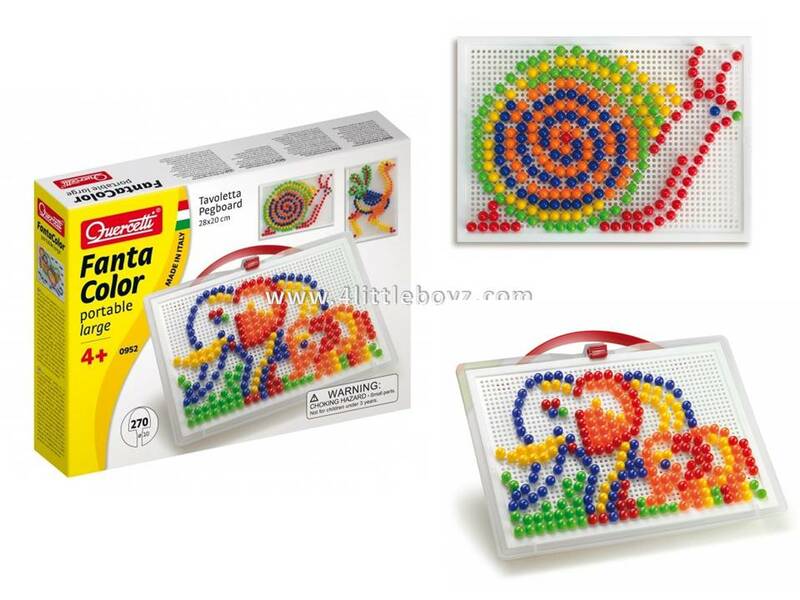 Fantacolor portable it is a timeless arrangement game which amused generations of children: by inserting the pegs in the tablet children freely express their creativeness and they train the eye-hand coordination. You can invent different mosaics or you can even copy the examples in the album. All the pieces are stored in one case easy to carry and suitable for travelling. In order to keep the pegs well stored the tablet also has function of lid. The handle doesn’t help only to the transport but it also allows to hang the mosaic to the wall in order to decorate the room in original way. To easily undo a composition, overturns the tablet on the handbag and push out the pegs.